If you wish to remove unfollowspy for Twitter service then we are sorry to see you leave. If you have any comments or suggestions then we always welcome them, or if you are not sure on how to turn certain features on or off. Then please see the guides below. 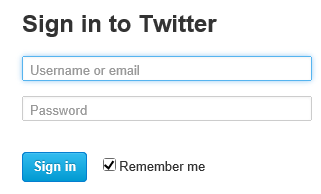 However if you still wish to remove the application then follow these steps. 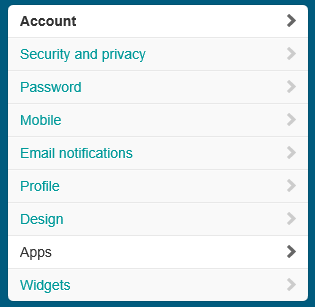 On the left hand side then you will see the following options click the apps option. 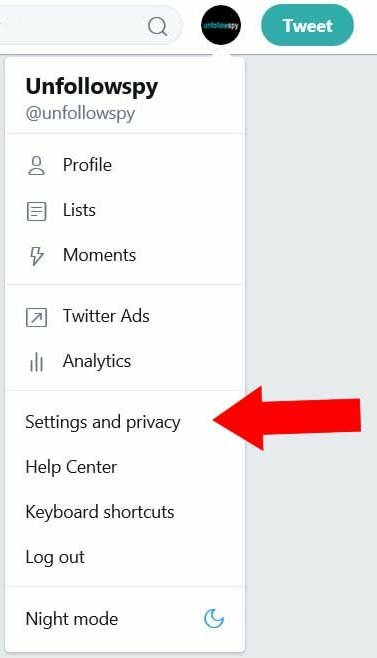 From this menu click the revoke access tab this will remove the tool from your account. 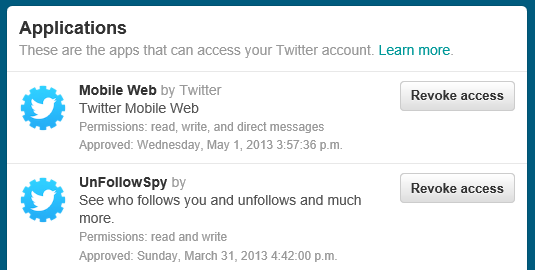 Your account is now closed and Unfollowspy can no longer perform any actions on your account. Please note: If you do wish to use our tool again in the future just log back in via the home page and once logged in your account will be reinstated.